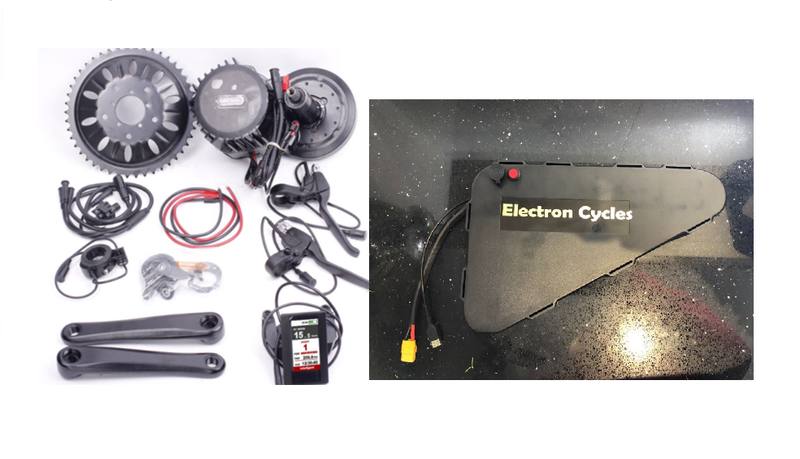 Home / Parts & Kits / BBSHD 1700 Watt Electric Bike Conversion 52v 25.5Ah Triangle ABS waterproof tough battery. 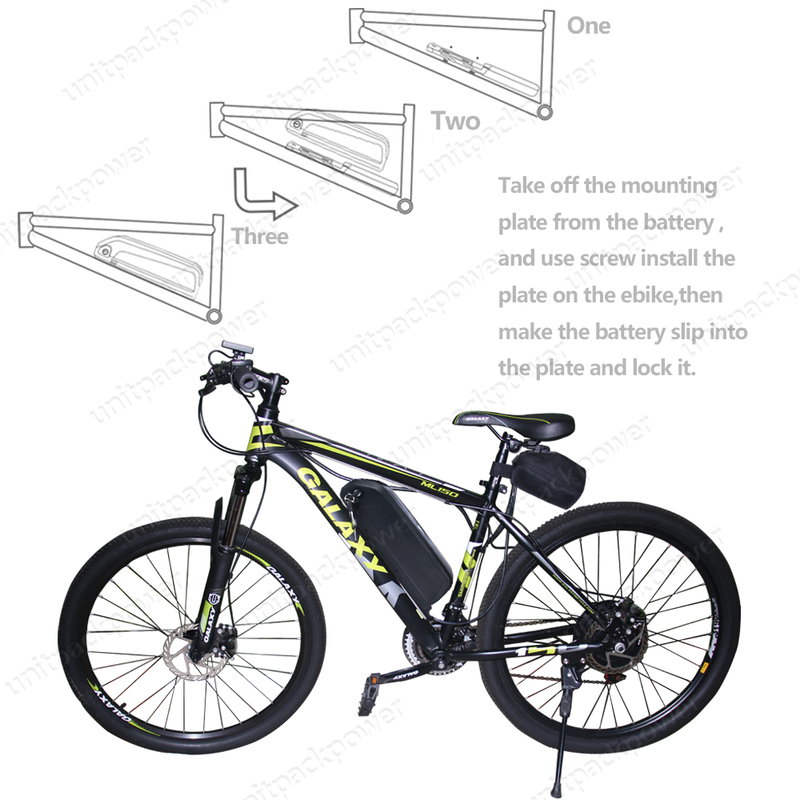 BBSHD 1700 Watt Electric Bike Conversion 52v 25.5Ah Triangle ABS waterproof tough battery. 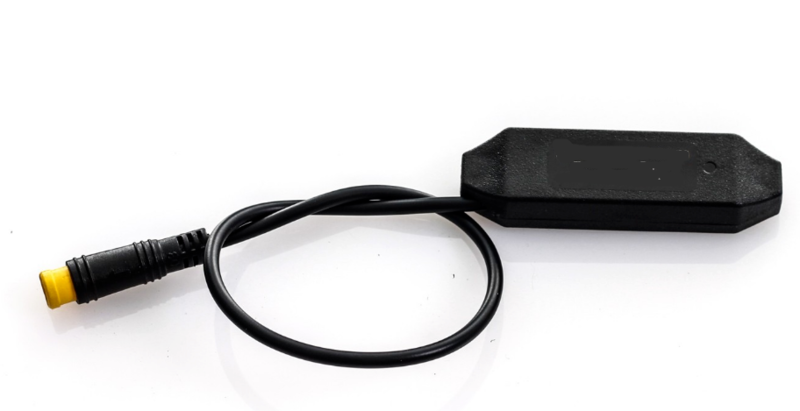 Bafang BBSHD 1500 watts Very latest Kit with Colour Display, DPC18 and Gear Sensor + 52v 25.6 Ah Tough waterproof Triangle batter Battery UK Stock. This is UK STOCK! NO IMPORT TAX! NO HIDDEN FEES! *Free UK delivery within 3 working days!!!! Now with Colour Display and Gear Sensor and brake cut offs!! 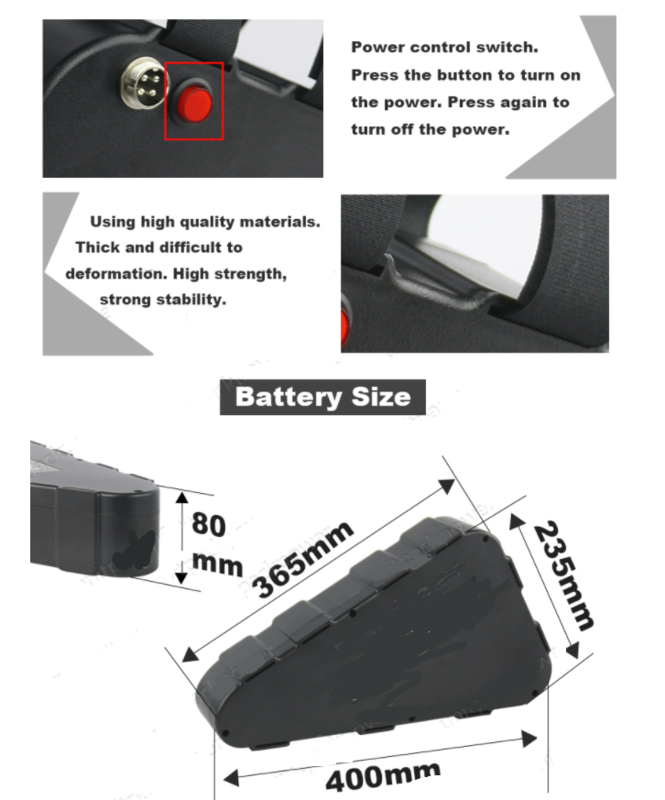 Reprogrammed by us to 1740 Watts max and Superior PAS settings with the truly Amazing 52V 25.5Ah Triangle ABS Plastic Watertight Toughened Triangle Battery – the best performance for money big Ah factory made, hard shell triangle battery! 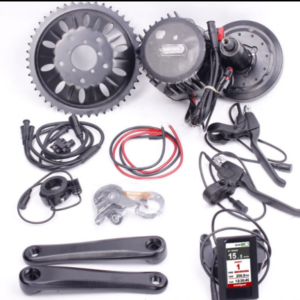 (BBSHD Mid Drive kit is light but strong and unprecedented levels of engineering (Rated 1000W – 17500W dependent on setting and have a proven to work reliably at 2500Watts) and Max Torque 160 NM) More efficient than HUB motors giving greater distance and response. This mid drive provides powerful ebike performance meanwhile keeps the original pedaling in comfort. 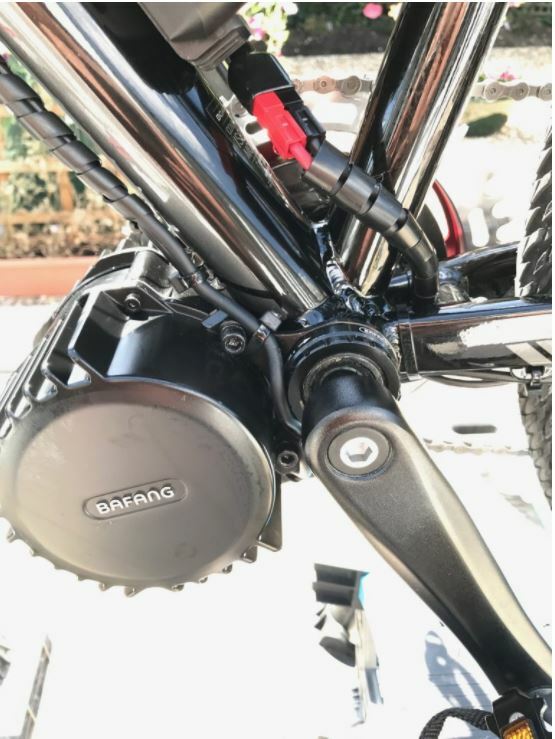 With an integrated speed sensor, this mid-drive motor is compatible with standard bikes. Throttle only use in PAS mode “0” is available allowing to rest without pedaling and a further 9 levels available with “on the fly” switching. These motors are regarded as the very best in the EBike world. Extremely quiet and robust. Fully waterproof and internally lubricated within sealed casings. There have been recorded distances of 25000 miles and still going! 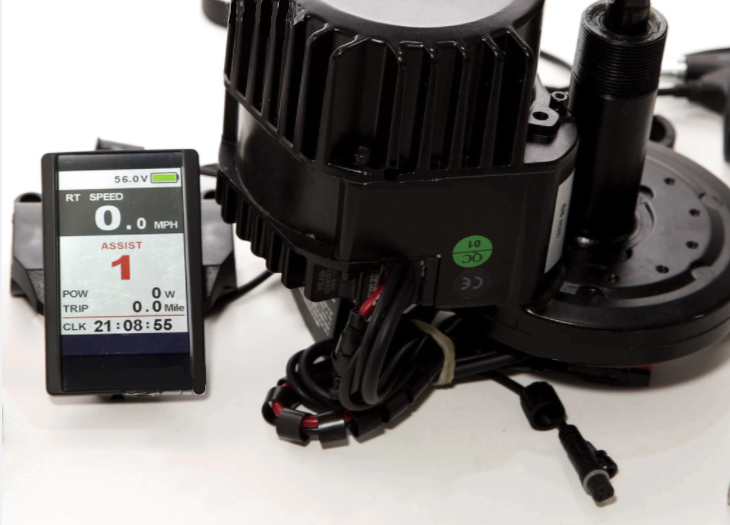 The motor is designed to work with batteries rated at 48 – 52 volts (can handle up to 59.9V) and highly recommended to be used with 52v batteries. Weight of BBSHD 52v 1700watt (peak) motor: 5.8kg. Features: 3.2 inch High-contrast IPS colourful dot screen. Mileage: ODO Trip Time Range. 3.2 inch High-contrast IPS colourful dot screen. Customized Start-Up Logo, dynamic displaying. Set up Password of Turning on. 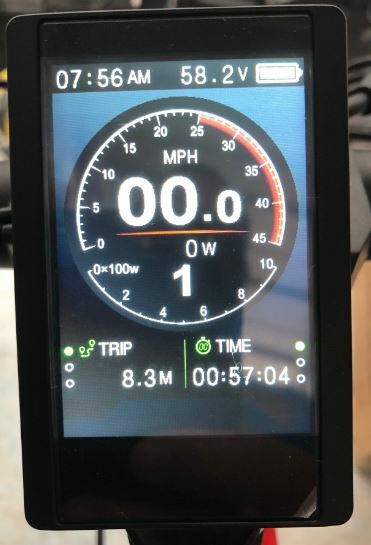 Speed display: RT SPEED MAX SPEED AVG SPEED. KM/ Mile: Setting up adjustable according to customers’ habits. Mileage : ODO, Trip, Time, Range. This product is compatible with the communication protocol system of 8Fun mid-drive motor kit. It can also be customized to be compatible with communication protocol system of Lishui and Ananda. We are able to take OEM orders. The following install guide may give a little more clarity on how to install. Please note the video was made by Luna Cycle in the USA, probably the best customized – conversion Ebike Company in the world. I have no affiliation with them other than being the occasional customer. This is a small company run by Eric Hicks pushing the envelope on fast Ebikes. People keep asking us? Do I need to fit the Bafang Levers, I have hydraulic brakes? The simply answer is a very definite NO. Because of time wasters and cost of postage and the fact that this item is fully working, I do not accept returns (because you have changed your mind) your buyers rights are not affected and are protected by Ebay/Paypal. 6 Month Warranty is for manufacturing defaults and does not over miss use or accidental damage. These units are extremely strong and robust and will not let you down unless abused. UK Law states that these units be used for off road use only. The purchaser, by buying this unit agrees and is aware that this item is sold for offroad or circuit use only. This is the very best performance verseu cost battery. 14s8p 25.5Ah battery containing 112 branded 52v 25.6Ah 60A BMS Panasonic BD Cells , 60A BMS (battery management system) with 3AH UK charger. 60 Amp Nominal and 80Amp Maximum BMS. Designed to fit within the triangle using a choice of 9 velcro fastening points. 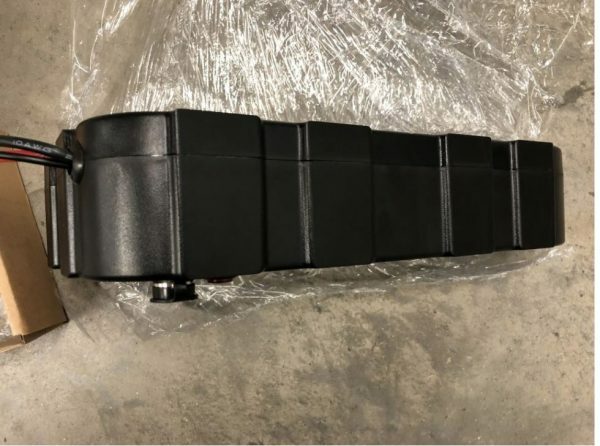 These type of cells used in high amp discharge installation where the combination of 10A per cell maximum discharge, yet a storage capacity of 5500 mAh. 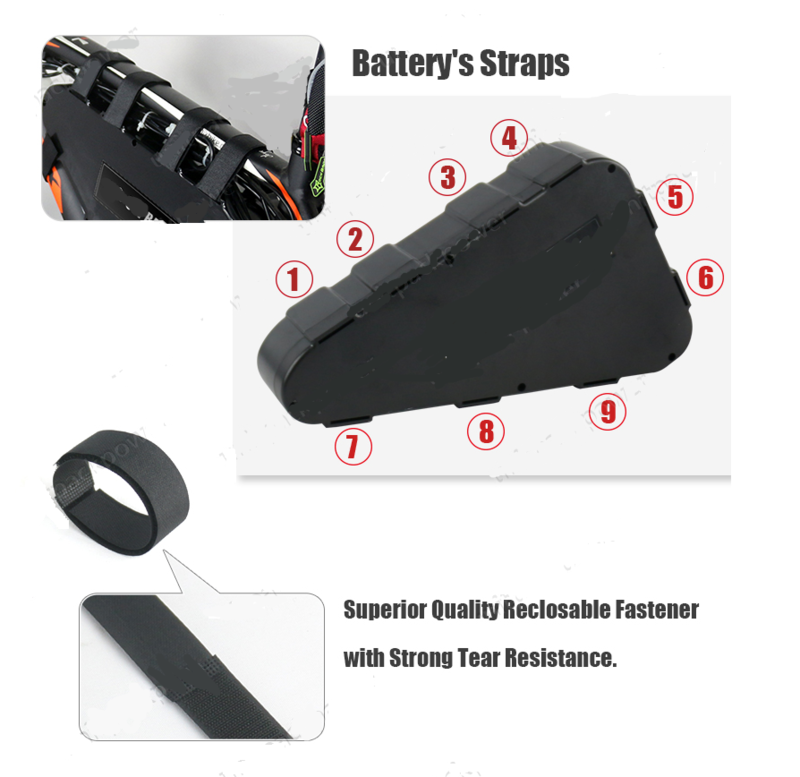 They are specially designed for high output discharge. Other inferior cells used in cheaper packs simply cant deliver like these in this scenario for the cost. These batteries are particularly good for: large rear hub systems of 3000watts, Cyclone mid drive and BBSHD conversions. These cells can supply a nominal 3000 watts (depending on charge state) a nominal 60A (restricted by the BMS) and bursts much higher. If you think the cost is high, these batteries have 112 cells and compared to the Paansonic GA we we used to supply which retailed at £749! These are factory made using the very latest in spot welding and nickle strip. Please ALSO note these are genuine cells and made up into complete battery specially to order for me at the factory. I can’t simply buy a single battery; I have to agree to a production run of at least 20 batteries. Thanks to Ebay + Paypal fees, the markup is minimal! The cases are extremely tough and weather resistant to a high degree. They are designed to take a medium impact. Not all triangle are the same, please use the link below to download and print two A4 pieces of paper that create a life size template. The battery is 365 mm in length and 235 mm in height. The width is just 80 mm. 6 Month Warranty is for manufacturing defaults and does not over miss use or accidental damage. Opening battery will void any warranty. Please note, Lithium batteries are considered hazardous and due care and attention should be taken. Although these cells are in wide use, and professionally manufactured in a purpose built factory; because of the power of the battery, we strongly recommend that precautions are taken. We do not recommend charging inside the family home and charging should be supervised. We take no responsibility for misuse. These batteries are thoroughly tested (full discharge and charge cycles at the manufacturing stage and also pre-delivery). These are not DIY or amateur built devices. 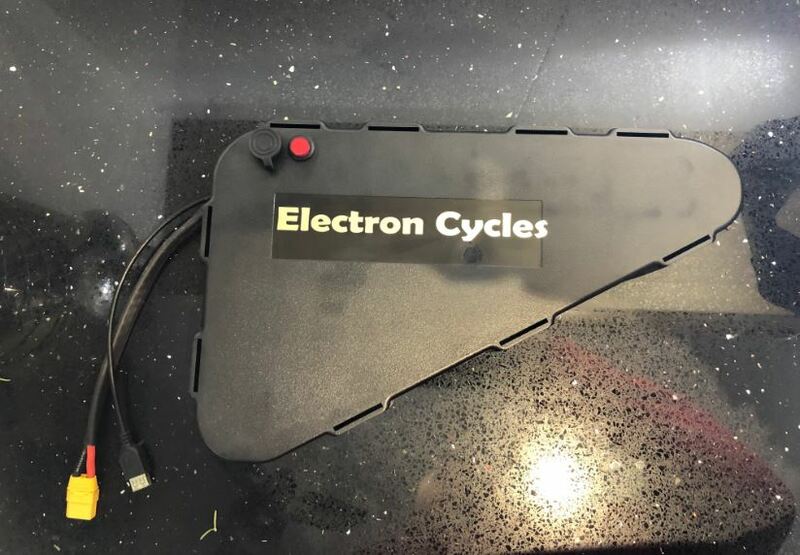 Thank please note that Ebike batteries are considered hazardous and should never be charged inside the home or un-supervised. *An additional charge may be required for delivery to High;lands, Chanel Islands and other remote areas above our normal shipping costs. Buyers will be informed first and given the option to cancel with full immediate refund.